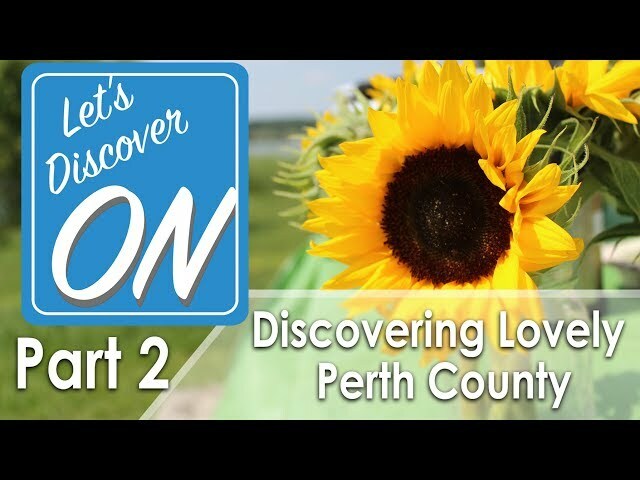 Discover more about Perth County — be social with us! Check out our Facebook page, Follow us on Twitter and Instagram. Scroll to your right to see another video about Perth County. Download our brochure about Perth County too! Discover more in Perth County! Located in the heard of southwestern Ontario, Perth County has much to explore! Enjoy outdoor recreation surrounded by beautiful scenic green space and follow impressive nature trails on a serene walk. Discover delicious local food and shop for the perfect gift in quaint stores in one of our historic downtowns. For more information visit the Perth County Tourism website. Visit a local farm gate and meet the producers or browse one of the local food shops with fresh specialty baked goods and preserves. Stay at one of our unique bed & breakfast, inn or farm-stay accommodations throughout the County.